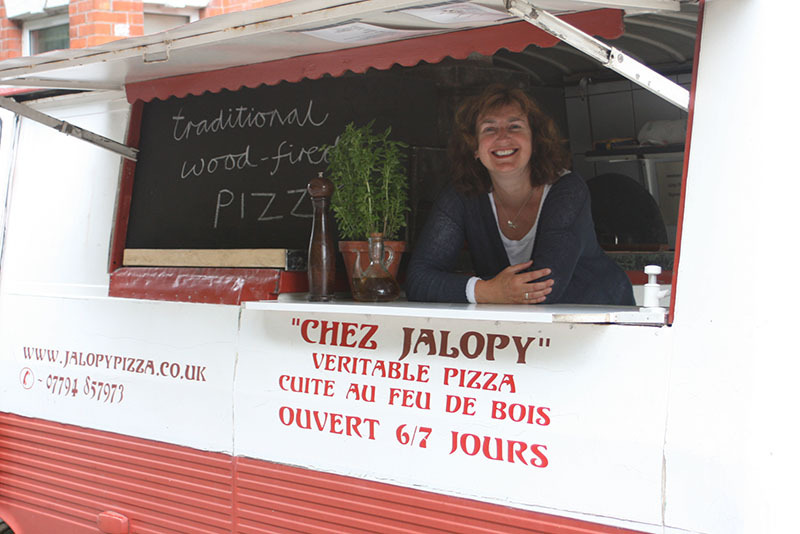 Jalopy Pizza brings high quality street food to Dorset. 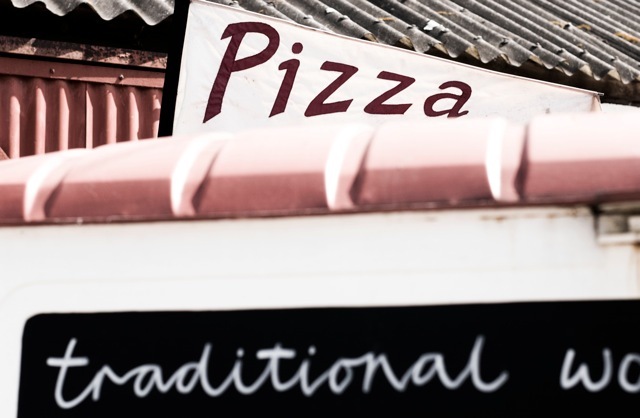 We use authentic Italian ingredients and hand make each pizza to order. 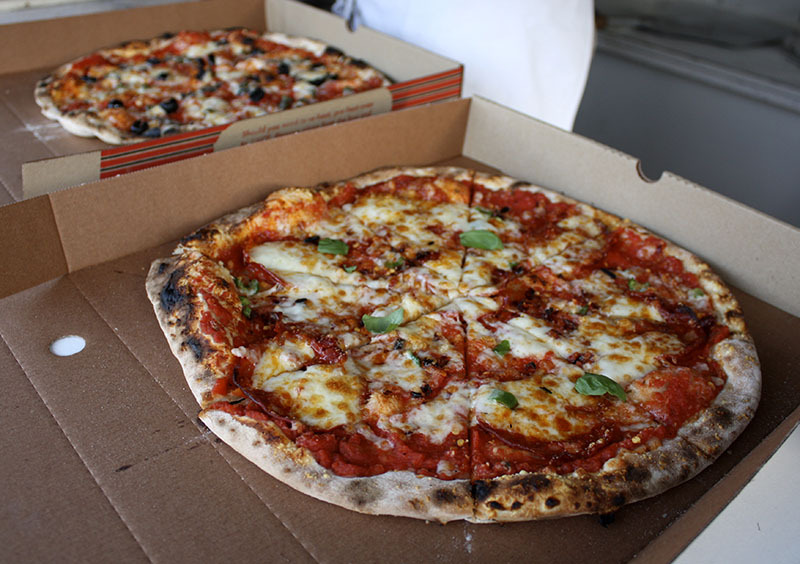 The dough is our own recipe and we also produce tomato sauce in small batches. 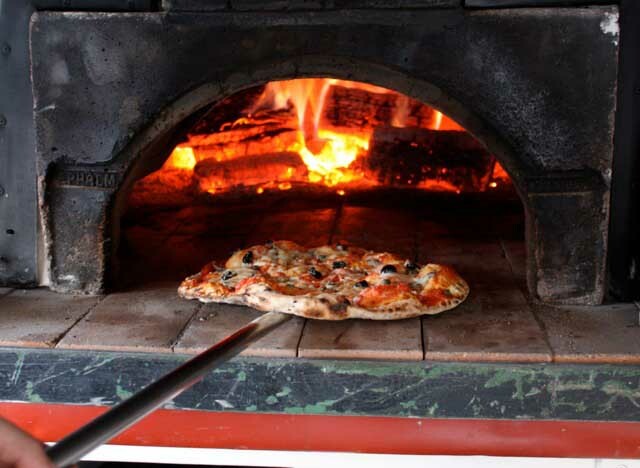 The pizzas are cooked in Ephrem wood fired ovens, which gives them their unique flavour. 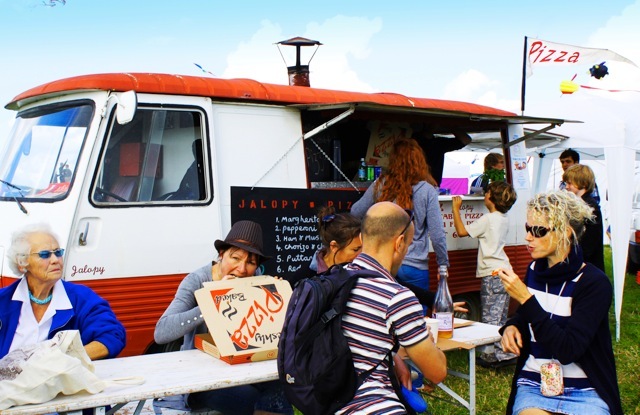 Our vintage Peugeot J7 vans were imported from France We have two - the original small van, which had been working in Montpelier for thirty years, and a long wheel base version for larger events. 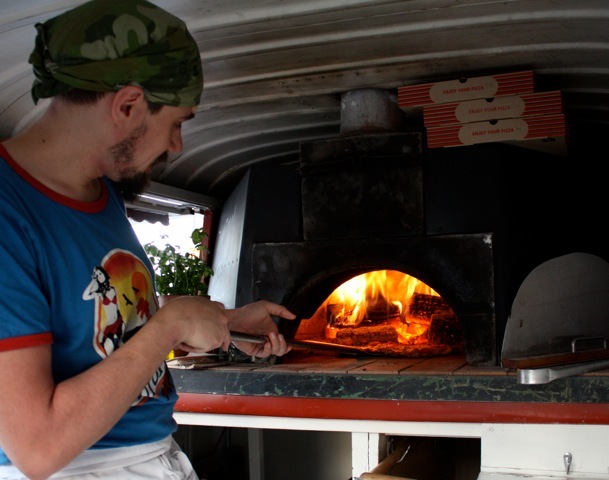 Our vision is to recreate the fantastic wood fired pizzas we have eaten in the South of France here in the UK. We offer a unique wedding service, providing a fun, informal option for your guests at the evening reception. 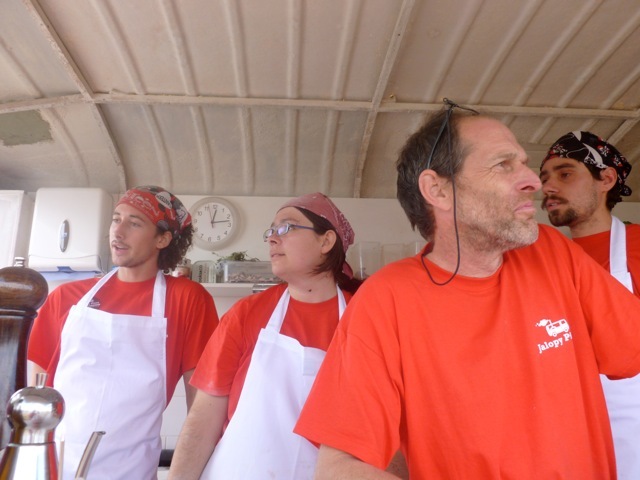 As a rough guide, we charge Â£700 for 40 large pizzas (to serve up to 80 people), plus travel expenses. 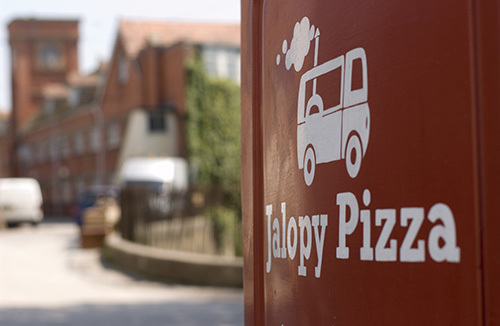 Jalopy Pizza will come to your venue to serve pizzas wherever you decide to hold your party. Because we can operate completely off grid (no need for electricity), we are able to go where other caterers fear to tread. 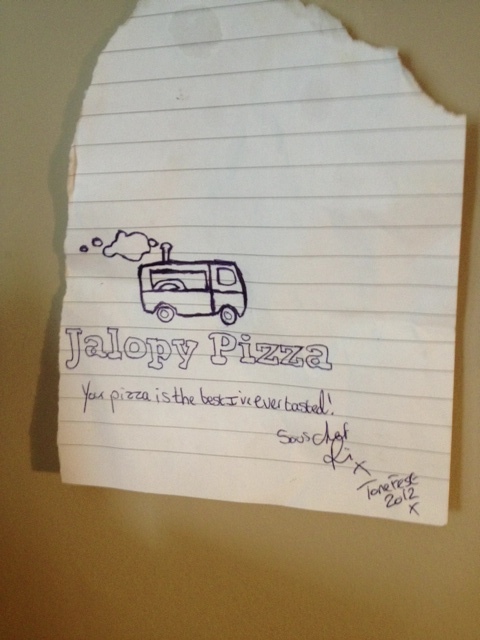 Jalopy Pizza is perfect festival food. We will be going to Glastonbury Festival, as well as others around Dorset. 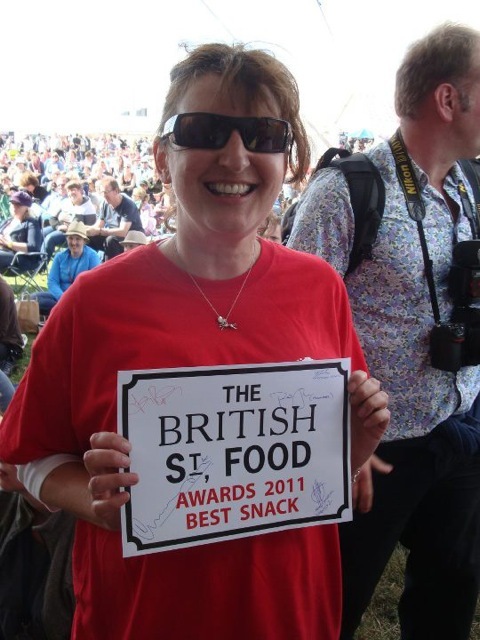 We attend a number of food fairs in Dorset over the summer season. See our Facebook page for details. We are always interested in coming to one off events. We have attended the River Cottage Spring Fair, The Green Scythe Fair, Buckham Fair Pony & Dog Show, Powerstock Cider Festival and many, many more. We offer a simple menu and try not to over complicate our pizzas. We occasionally do a special and are happy to talk about creating a specific pizza for your event. We use authentic Italian ingredients or local produce. 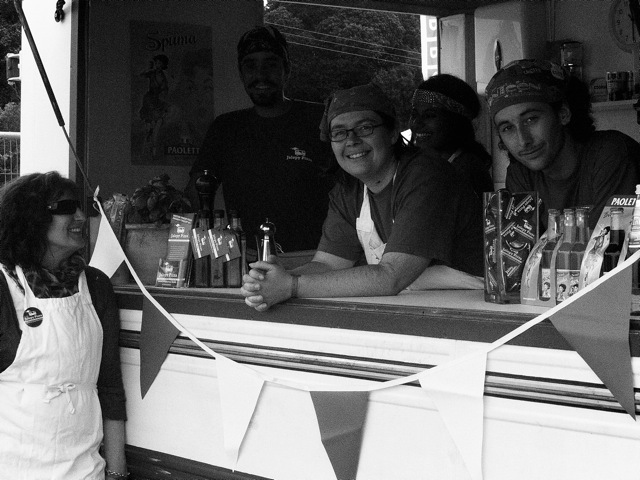 'A big thank you to you and your team for the amazing pizza's and service we all received on Saturday night. Gemma had a wonderful party and everyone commented on the pizzas'. 'I just wanted to say a big thank you from my husband and myself for the great service and delicious pizzas that your staff provided at our wedding on 30th July. The whole service was completely faultless from start to finish. 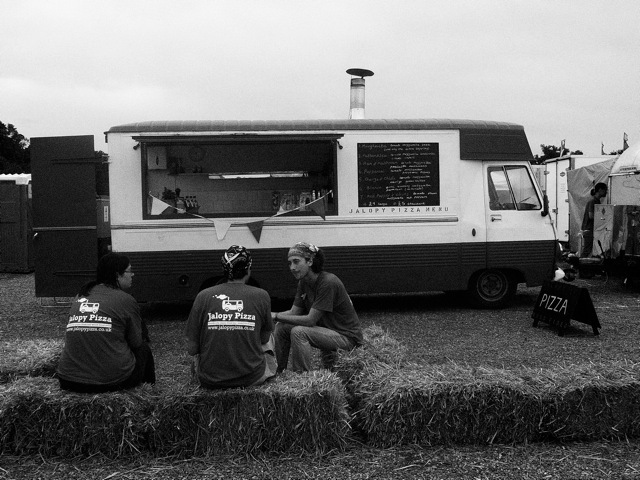 The van and pizzas were greatly admired and appreciated by all and gave a magical touch to our evening reception. Thank you to all of you for a great service! We will be recommending you to others! All original testimonials are available to view on request. We are a mobile pizza service, so we move around. Like us on Facebook for the latest information. We're now based in Portland. Keep an eye on this page to find our updated pitchs for 2017. Please contact Charlie to discuss your requirements and we will do our best to help.